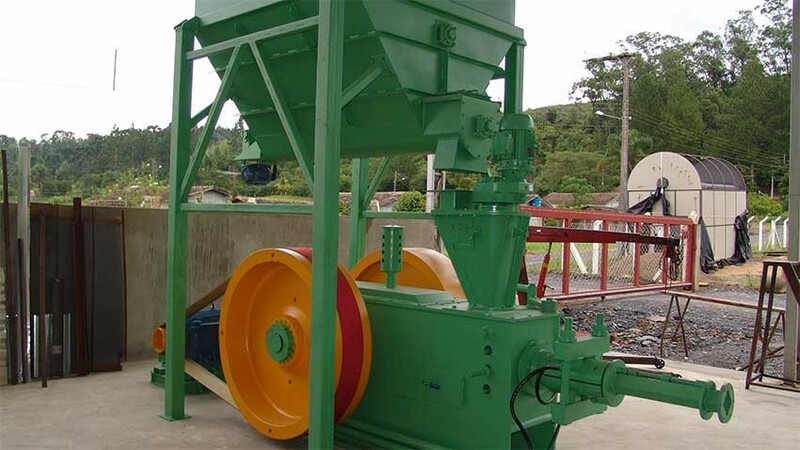 Mechanical piston extruders - ideal to manufacture briquettes with various types of biomass. 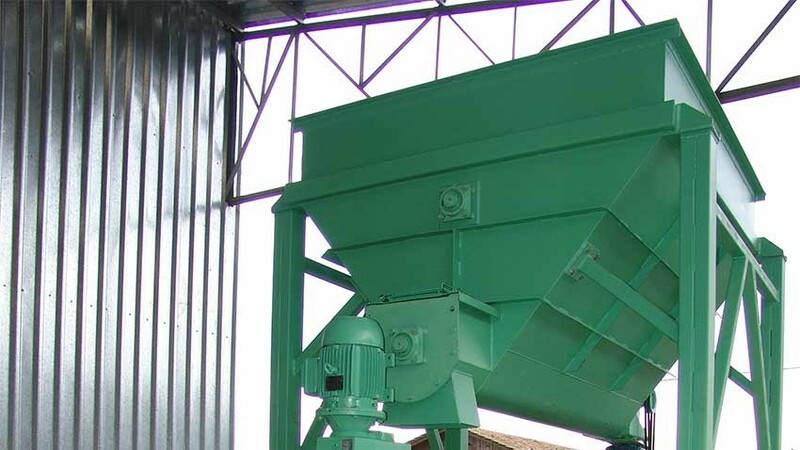 The Mechanic Piston briquetter Lippel BL 105 x 210 produces briquettes with diameter of 103 mm, with a production 1300-2000 kg / h, depending on the biomass used as raw material. Lippel‘s mechanical briquette produce briquettes from 56 to 103mm in diameter The compression takes place through blows on the biomass by a piston propelled through two flywheels. 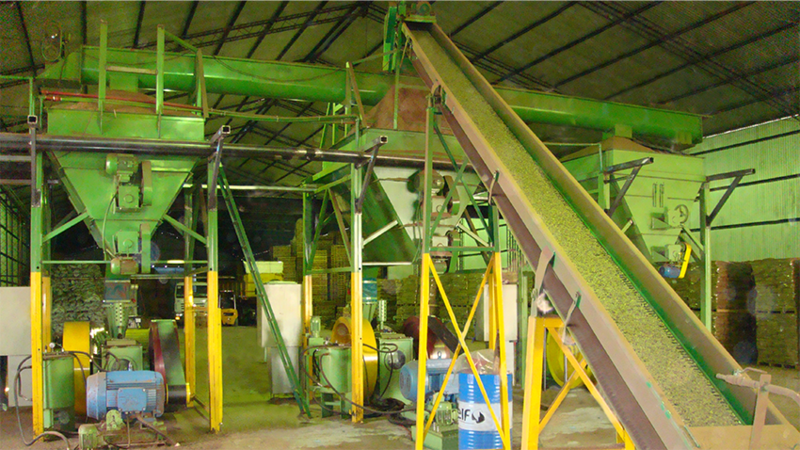 From the storage silo (aerial or underground) the biomass is transferred to a feeder and then briquetted in a cylindrical shape. The flywheel is used to store kinetic energy to sustain continuous operation that requires a great amount of power.